Coal is expected to remain the most affordable and available energy source in Indonesia in years to come. In fact, coal contributes more than 50 percent of energy mix until 2028, according to PLN’s Electricity Supply Business Plan 2019-2028. The encouraging development of coal-fired power plants in the Asian region also supports the coal demand in the future, even amid increasing pressures to reduce the carbon emission. To supply these power projects, coal producers in Indonesia are expected to increase production volume. Sri Rahardjo, Director of Technical Environment at Directorate General of Mineral and Coal of the ministry of energy and mineral resources (MEMR), stated that Indonesia sets national coal production target at 489.13 million tons in 2019 and allocates 135.45 million tons for Domestic Market Obligation (DMO). “DMO is estimated at 135.45 million tons after calculating and collecting data from end users, particularly PLN, cement industry and metallurgy,” Sri Rahardjo said in The 4th Indonesian Coal Outlook Conference 2019 recently. Based on the PLN’s Electricity Supply Business Plan 2019-2028, the domestic coal consumption for electricity generation will keep increasing up to 153 million tons in 2028 by assuming 1.2 million of additional customers per year. Coal producers have to supply coal for domestic end users, mostly for PLN, based on the Decree of Minister of Energy and Mineral Resources No. 23/2018 at least 25 percent of total production capacity in 2018. For miners that were unable to comply, the government slashes their Budget Plan (RKAB) in 2019 based on the realized DMO multiplied by four. However, the realization of DMO in 2018, as much as 115 million tons, fell short of initial target at 121 million tons. “We planned 121 million tons of DMO in 2018 but the realization was less than that. We expect the same situation may occur if there is any delay of COD of coal-fired power plant development,” Sri Rahardjo said. The national coal production shows increasing trend and the government wants to make sure the security of coal supply for domestic use. “When the domestic coal demand increases, we want to prioritize domestic market,” Sri Rahardjo said. 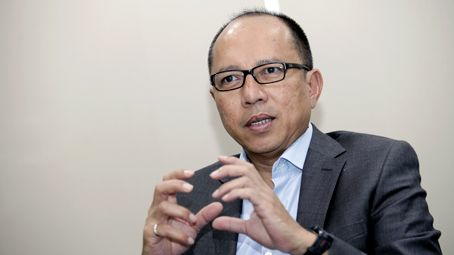 M Ahsin Sidqi, Executive Vice President of Independent Power Producers (IPP) at PT PLN (Persero), confirmed that PLN’s coal demand will keep increasing based on the latest RUPTL. One by one of the large scale coal-fired power plants will start their commercial operations and will be followed by others then in the foreseeable future. Ahsin stated that the latest coal-fired power plants technology consumes lower calorific value coal ranging from 4,000 kcal/kg to 4,500 kcal/kg. Meanwhile, the older power generation facilities, such as Paiton and Tanjung Jati, consume higher rank coal. “In 2019, PLN is expected to absorb 97 million tons of coal for power generation,” he said. PLN expects to increase the electrification ratio in Indonesia to 99.9 percent by the end of this year. Ahsin said that Independent Power Producers (IPP) contributes the largest share in 35,000 MW power generation project by developing up to 26.6 GW power plants. “PLN only develops 8.6 GW,” he said. Ahsin mentioned that IPP absorbs lower coal ranks that abundantly available in Indonesia. He took an example of 2x1,000 MW Java 7 power project in Banten that consumes 4,000 kcal/kg to 4,600 kcal/kg coals. It is expected to start commercial operation in October 2019. “New 2x1,000 MW coal-fired power plant in Cilacap even consumes lower coal quality with 4,000 kcal/kg to 4,400 kcal/kg. It requires 4 million tons of coal supply per year,” Ahsin said. 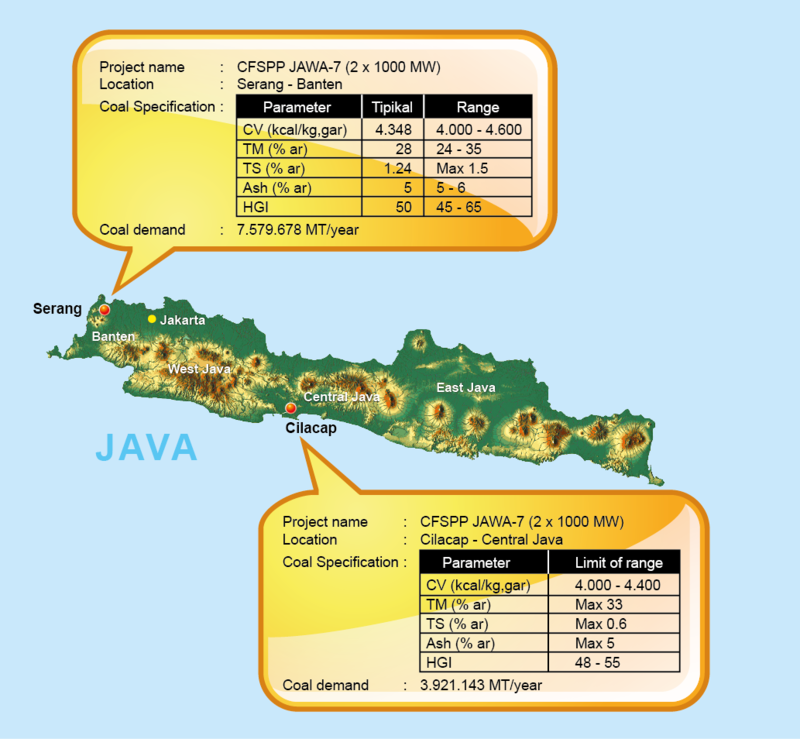 The government emphasizes that there is no more new coal-fired power plant in Java-Bali regions, excluding the ongoing power projects. New coal-fired power plants should be developed where the resources are located or mine-mouth power plants. On the other hand, there are a number of coal producers, particularly low rank coal miners, who could not fulfill DMO due to unacceptable coal quality for domestic consumption. While the quota transfer mechanism, as the only solution for those who are unable to comply with the DMO, is assumed not effective. Slamet Haryadi, President Director of Mifa Bersaudara, an indirect subsidiary of PT Reswara Minergi Hartama, stated that his company produces low rank coal below 4,200 kcal/kg (GAR) in Aceh Province. “We want to supply coal for domestic market, but there is no domestic buyer for our coal,” he said at the 4th Indonesian Coal Outlook Conference 2019 on Thursday. Slamet also mentioned that quota transfer is not a solution for Mifa Bersaudara. “The price of quota transfer is not economically viable for us as a low rank coal producer,” he said. On the sideline of the conference, Ali S Tesalonika, Marketing Director of PT Indexim Coalindo, stated that Indexim has concern regarding the zoning of DMO. 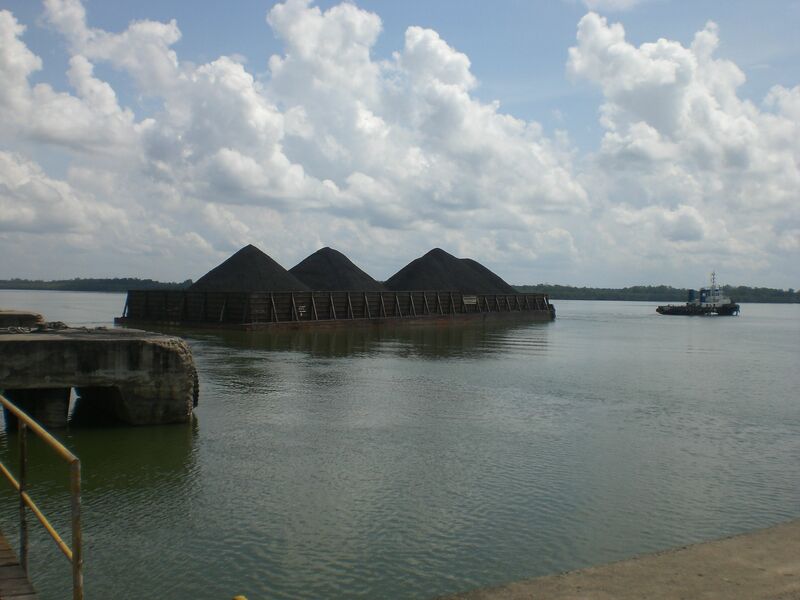 Indexim, a permit holder in East Kalimantan Province, is part of eastern zone meaning that the company should supply coal for domestic market in eastern part of Indonesia. “DMO should mean that we subsidize the state through PLN, but actually we supply coal for other private sectors, which are smelter facilities in Sulawesi,” Ali said. This zoning of DMO, he added, will only benefit private sectors instead of the state. Coal will remain a primary energy commodity until alternative substitutions of energy sources are available. The development of coal power plants in Southeast Asian countries are expected to increase rapidly in the coming decades. 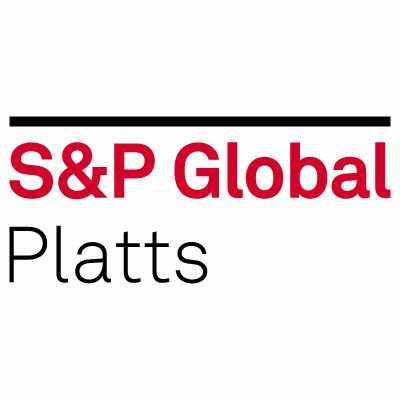 Vietnam, Malaysia and the Philippine are the potential markets for coal exports. “Demand from East Asian countries, such as Japan, South Korea and Taiwan is relatively strong for next few years. Nontraditional markets in South Asia, such as Pakistan, Bangladesh and Sri Lanka, are also encouraging,” Irwandi Arif, Chairman of Indonesian Mining Institute (IMI), said. However, Irwandy also warned about the key challenges ahead due to uncertain China’s policies that limiting the coal imports and preferring its domestic coal supply. “Not to mention the strong pressure of climate change agenda,” Irwandy said. China, India and Southeast Asia continue to increase power generation from coal although investment in gas-fired and renewable energy is increasing. Butglobal investment in coal-fired power generation in 2018 fell by 33 percent to about US$60 billion, from US$90 billion in 2017. Lars Schernikau, President of HMS Bergbau AG, suggested that Indonesia is the best-suited coal supplier for developing countries in the Southeast Asia and India. “Do not let Western dictates your energy policy. I think Indonesia understands that coal will be the future for the country,” he said. When Chinese coal market is limiting the imported coal, India offers quite different situation. India continues importing coal from Indonesia since domestic coal supply is unable to fulfill demand of India’s coal-fired power plants due to logistics issues. Prashant K Goyal, Executive Director of OPG Power Generation Pvt Ltd, said that India is accelerating the power generation capacity since the country is plagued by peak power deficit which has resulted in frequent power failures. India has imported approximately 216.82 million tons of coal in 2018, or 14.9 percent increase compared with the previous year. Indonesia exported 100.8 tons of thermal coal to India last year. “Based on the data in 2018, India will continue to import coal from Indonesia in 2019 since Indonesia’s coal has low ash and good quality,” Prashant said.